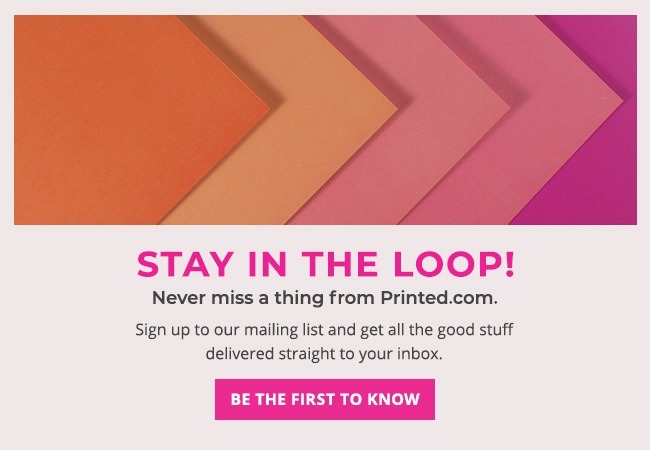 Want to add a little extra to your print? We’ve recently introduced a range of six extra special print finishes – Spot UV, Block Foiling, Die Cutting, Laser Cutting, White Ink and Digital Foiling. Not sure where to start? We’re taking an in-depth look at Laser Cutting – what it’s used for, how we create it and all the need-to-know info about this razor sharp print finish. Laser Cutting and Die Cutting are sometimes confused for each other, when in fact they’re very different processes. Laser Cutting involves using, yup, you guessed it, lasers, to cut your print to your chosen design. The laser beam then burns through the surface, leaving a high-quality and accurate finish which is perfect for super-intricate designs. It’s ideal for cutting out hand-written text, lace-like creations or simply cutting shapes and images into print. Yup, we did mention the process of burning paper… Tiny flames are created by the precise lasers working hard to create designs, so please remember the edges of Laser Cut creations have a slightly burnished edge. What’s the difference between laser cutting and die cutting? Die cutting uses a machine part to cut through the substrate, in our case paper stock. So the shape is already there for the technology to make the cuts, which means it’s typically a bit speedier. However, the part needs to be created first when die cutting while with laser cutting it can be continuously readjusted for quick runs and changes, and it can also handle more fussy, trickier patterns. There’s plenty of pros for both and it all depends on what finish and turnaround you’re after. What paper stocks can be Laser Cut? Laser cutting is available on seven paper stocks, so there’s plenty of variety for your work. Choose from Silk, Uncoated, Recycled, TruCard, Fresco Gesso, Gesso, and Laid. If you need advice on paper stocks, visit our guide here. Where is Laser Cutting used? There are a million ways you could use Laser Cutting. You may have seen things like Invites, featuring delicate filigree, lace-like designs? They were most definitely Laser Cut. Or perhaps you’ve received a piece of promo material or an event notification with some type/text cut out? That was probably Laser Cut too! The great thing about Laser Cutting is that it allows you to get super-precise, so if you’ve got a paper craft design or something intricate that you want to bring to life, Laser Cutting could be your ideal solution. Who can use Laser Cutting? Getting set up for Laser Cut artwork is easy – trust us when we say that you don’t have to be a print whizz to create something beautiful. There are a few extra steps involved when creating your files for Laser Cutting, but don’t worry, we’ve got a handy artwork guide (that you can download here) that’ll walk you through the entire process. And remember, if you get stuck, our team are on hand to help you get your print, your way. Get in touch with them by phone, every weekday 8.30am ‘til 6pm on: 0800 840 1430, or drop them an email to: theteam@printed.com or chat live on site. Get laser-precise and create artwork with a true wow factor thanks to laser-cutting.